The Key to Marital Harmony: One Vote Per Couple? 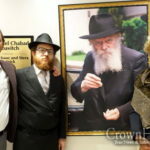 Eliyahu and Shainy Federman, who would each like a say in electing the leadership of the Crown Heights Jewish Community Council. In the Hasidic enclave of Crown Heights, Brooklyn, there are many things that women can’t or just don’t do: Be counted as one of the 10 people needed to make up a minyan, or prayer quorum. Walk around in pants. But vote? Now Eliyahu Federman, a Crown Heights resident and recent law school graduate, is challenging that last requirement, saying he believes it to be unconstitutional. In Crown Heights, religion and life are inextricably interwoven. But the council itself is not a religious organization, Mr. Federman argues. And in 2008, according to the most recent tax filings available, the council received $1.9 million in government grants. Since Mr. Federman first raised the issue, in 2009, he has heard several explanations for the policy: that voting is immodest, that this is how it’s always been done — and that allotting women votes could sow discord among married couples, working against the ideal of “Shalom Bayit,” or marital tranquillity. Rabbi Eli Cohen, the council’s executive director, said the entire structure of the council was being reconsidered, with the voting policy “definitely in the mix of issues.” The next election is scheduled for the summer of 2013. In an e-mail to Mr. Federman on April 6, Isaac Tamir, a lawyer known as Zaki who is the council’s chairman, mentioned the possibility of a “hybrid vote” on community matters, with one vote per household — giving a say to widows and unmarried women over 30. In a telephone interview, Mr. Tamir said the council’s bylaws were being reworked, and that he was confident that all adult women would be able to vote in the next election. Mr. Federman said that would be welcome news — which he looked forward to seeing in writing. Marc D. Stern, the associate general counsel at the American Jewish Committee, said it was not at all clear whether the voting policy was unconstitutional, and that the only way to find out would be to litigate it. On the other hand: “If the government, by some neutral rule, decided it wasn’t going to fund organizations whose boards were picked in a discriminatory way, that would probably pass constitutional muster.” Such a decision, however, would have major ramifications for the debate over faith-based initiatives. oh, yes. since he was unsuccessful behind-the-scenes, he went to the most pro-chassidic, pro-Israel, pro-orthodox, pro-shmutz newspaper to air our dirty laundry. as a woman living in CH for 20 years, i am surprised that he did not discuss this issue with me and all the women of the community before “going public”. shame on him for giving the New York Slimes one more reason to lambast orthodoxy…. This is all great but really irrelevant. 10 MILLION DOLLARS from Government grant/contracts since 2009 and millions since 1974. These millions does not go to the people of Crown Heights but rather to fill the pockets of private people (those who have been in the CHJCC all these years). Now that’s unconstitutional and illegal. It’s time to shut this office down, all we have seen from this office is controversy and Messira (court case after court case), enough is enough, we don’t need the CHJCC and we don’t need it’s paid Beth Din. It’s very simple, when a similar bitter battle came up like this pre-gimmel tamus, the Rebbe was venmently opposed to having women voting. I guess a lot has changed since then, so why not this? wht chtzpah does this guy have to go to the ny times . what has become of lubavitch . 2 be part of a minyan is not just in crown heights, its all over the world. That comment doesn’t fit. If women can’t at lest vote they should rename it Taliban Heights. He should move to florida just like his brother. i love how these outsiders come here understand nothing about lubavitch and try to change things, well his 21 year old wife should listen to older and more mature people. Eli Stop while u r ahead.. u r going to bring tzorus into our community with your stupidities. We had a beautiful community with the Rebbe as our leader. He was opposed to this. Probably for many reasons like the one that gave u the chutzpah to pose in such an untzniusdike manner. It is people like you who come into our community and ruin it. We dont need ur likes here,, if u dont like,, why dont u just get out of here… move to cedarhurst,, u look like u would blend in well over there. The community council will not change its ways because women are voting,, but u doing something stupid like this can have lasting impacts that we are not yet suffering from. I vote lets get this federman out of crown heights!! The Federmans should be treated the way the Neturei Karta are treated in Manchester. You do NOT go to our enemies when you have a disagreement. That’s what the Nuttery Kartel do. Therefore, stores should refuse to serve this couple, and no shul should give Mr Federman an aliya. (If a reformed tembel wants to give Mrs Federman an aliya that’s another story). No member of the community should retain him as an attorney if he is in private practice. And no one should so much as give either of them the time of day. Let them move to some other community. I love how lubavitch makes believe that they care for all jews;these comments just shows what lubvas are all about. They will tell their mekravim that we treat everybody equal, but in reality we only do shlichus because it boost our self-esteeem-not becuse we care about other people. Thanks eli for doing all this. People do appreciate it even though they are to shy to come out and say it. Is this a Chossid??? First polterek then tamir now this idiot goes to the NY rag to gain some fame. Let’s get one thing straight here: Anyone can call himself a Lubavitcher but they can not claim they are Chossidim. There is a big difference between living in Crown Heights and living as a chossid. We (whoever is still “Normal”) must strat making that distinction clear for all to see. To Mendy#17 and the rest of you klein-keppeldik grudge holders don’t lump all good chassidim with these guys. Thank Hashem most of us are making Shabbos AND Pesach and dont have the luxury to comment on this. But because this could be a serious chillel Hashem, I feel that it must be pointed out that although in theory anyone is entitled to their opinion to disagree, we are living in very difficult times and while not everybody sees the hard work and fruits of labor that HAS come about from the Council, I can testify that they do help the community in a myriad of ways throughout the years such as pesach, camp scholarships, social services, medicaid and much more. Yes there is room for improvement. But this issue does not warrant beating up on the one agency that serves the community in ways that city agencies can not and do not. Yes there may be other Councils that are better etc but why ‘throw the baby out with the bath water’ If Mr. Federman REALLY cared about woman and the community, he might have a private meeting to see if and how this can be changed. And if it is going against the Rebbes wishes and the status quo, maybe he could explore a way to help and improve the lot of woman who are wives, mothers and hold full time jobs and still dont make ends meet. How about making a fund for these woman who work day and night to get a vacation, to bring in speakers or to help defray child care. There are enough struggles in day to day living in general and in this community in particular. We need to support our community so they can work on the issues that are vital; ie affordable housing, job training and proper mentoring and positive outlets for the children. I challenge Mr Federman and anyone else who is interested to put your time into something that will make a difference and contribute to the Betterment of this community, not the downfall, has v’ shalom. Not to compare, but in this sense, you have a great mentor, another Federman to follow. It is not necessary to defend your concern about womans’ rights because I am a woman and have been part of this community for over 20 years and have contributed in many ways in addition to raising a family. I personally never cared to be part of this vote and in comparison to what many of the special woman do in this community this is a minor issue and pardon me a triviality. Well enough said, I must get back to Shabbos and pesach; In closing, misa hu haikar. My sentiments exactly! I completely agree! No need to attack. They will self-destruct all on their own. Just wait and see. To Mendy Wrote: Fools rush in where angels fear to tread and a civil and wise person knows when to stay out of someone’s personal business. He is not only a lawyer but also an expert in marital harmony!! Can someone tell me ig doing to the NY Times is considered actual MESIRA??? How in the world did you get that message from the comments above you?? i vote for voting for the right vote. Eli, do you even live in Crown Heights? I dont belive so. Why are you making trouyble for our comunitty? Did we turn into a jungle where every hot-head can go to the media, courts, radical liberals to get their help to force liberal change in a chassidishe community – against the will of the vast majority of the members of the community and especially against the directives and opinion of the spiritual leaders of the community? Really? Is this the way it works in jewish community’s? A young ‘shnuk’ writes a letter to the community Beis Din “demanding” that they take action and if not – “threatening” to sue the community in court? Go and publicly ‘bashmutz’ the community as a whole to the entire world (via the NYT)? I thought it works the other way around. When “we” have moral questions, it is “we” who turn to our Rabbomin (the elected community Rabbonim and Chassidishe Rabonim) for guidance and clarity. It’s pretty shameful to how low our community has stooped… gut shabbos to all! Is this a secular issue??? The way a Jewish community is run, it’s standards, guidelines and way of life is a purely “secular” issue? I believe this was the thought of the Maskilim/Reform. (be a jew at home and a man outside….). is Judaism only in shul and shabbos and every other aspect of our life is secular??? No way! As Jewish people, EVERY aspect of our life – whether we are awake or sleeping – is governed by ONLY one rule book.. The Torah (Halacha, Chassidus). The ones to tell us what is the way of the Torah? Practicing, Frum, Chassidishe Rabbonim! Have we fallen so low? If he tells the truth than we have to chance and give women more rights. If not then disregard him i’m sure that there is a rabbi with more knowledge about thes afairs than i do. This requirs a rabbinical input immediatly. before feminist and other radical organazations get involved. Why try to change the moral and ethical makeup of this community? You are much more liberal and feel uncomfortable here? Why force us to change our standards? You would probably be much happier living in a liberal community. Shabbat Shalom! We need to publicly eschew and repudiate this type of behavior!!!!!!!!! Go to the NYT to air our “reform” ideas? Mr. Federman, did you consult with the Rabbonim on this issue? The conduct of a frum, Chassidic community is to be governed and guided by Rabbonim – NOT by secular courts. I have one simple question: who is supposed to be the ones to decide the standards by which a chassisishe community should be run? Is it Chssisishe Rabbonim and Mashpim? Or lawyers, tabloids and liberal activists? Are there ANY red lines in our community that if you cross it you would be shunned by the community? All the comments were telling him to leave lubavitch, go to the 5 towns etc. Beacuse he said something that they didn’t like, they started attacking him saying you’re a “tzugekmenar” (a Johny come lately). They have no respect for a “tzugekmener” in general, and to fellow non lubavs in particular. I agree with his position, but he was wrong to go to the NY Times. Even if he succeeds, and I wish him well in that, “yotzo sechoro behefseido”. The NYT is not our friend, and sometimes, *especially* when something in our community is not right, “kevod Hashem haster dovor”. The Community Council would really like to be more proactive. Therefore, they would like to offer everyone who commented against this article a complimentary straight jacket and stay in a mental health facility. I guess all the normal people really did go on shlichus. are we reform or Chabad? I’ve been saying women should vote for a loooong time. I’m glad someone is finally doing something about it. Good work, Federman. Ignore the haters. I don’t believe they are representative of Crown Heights, even if they are overly-represented on this messageboard. Who decides how a Chassidic community should be run? Pop opinion? Law school graduates? Or the Torah, Chassidus and Rabbonim? Women should absolutely be able to vote! If women can vote…women can run as candidates – and what next? A woman Rov (or Rebbitzen) – a Rabanit (or Raba)??? There are some things women should be kept out of! he is right. by the last gabbai election my husband voted for yossel A & i wanted yossel B & I had no say whatsoever. If in fact these people do not live in Crown Heights what gives them the audacity to mix into our lives. Actions of this nefarious nature are more appropiate to an entity like the Jewish Forward that were the instigators of the Rubashkin-Agri debacle. Why are Cohen and Tamir being stumbly apologetic about this and making statements about changes in the future. This issue was raised in the early nineties when an infamous couple that did live in the shechuna ( and thankfully do not anymore )brought this issue to court in a legal action against the community. Anyone wishing to know why they were unsuccessful in this legal action ( far too lengthful for the space allotted here ) can ask any of the Vaad members of that time. However , the crux of the issue is that the Bais-Din and the by-laws of the Vaad (perused and approved by the Rebbe ) opposed this. For anyone to run to the media , especially to the N.Y. Times , on an issue that could reflect negatively on Crown Heights /Lubavitch -“Kan Tziva Hashem Es Habrocha” is a direct affront to the Rebbe and to the residents of our neighberhood. May Hashem give them the wisdom and maturity to see the faults of thier ways. Chag Kasher V’sameach. It has nothing to do with who he is, where he is from or even the idea. It has to do with him going to the NYTimes and making a mess. I don’t live in CH anymore and don’t really care much one way or the other about the issue. I also had no idea who these people are. However, after even the tzadekes Devorah Benjamin was pilloried in the Times blogs by their usual peanut gallery of 60’s and 70’s leftovers and New Age lefties, I know full well that our community affairs do NOT belong in the Times. Oh, and if you don’t like my suggestion of cherem, all I can say is that an elter Chossid told me that in his times back in what was the USSR, they didn’t bother with cherem for moisrim. They just burned down their houses. Since that’s illegal in the US and not a great idea anyway, I think cherem is the way to go for this couple. Then again, if they live in KGH I don’t think they shop at our stores anyway, nor do I think he gets an aliya at our shuls. He should also change the rule that someone has to be religious, like that his wife who can dress a bit more tsniusdik can also vote! #40 He’s doing it for fame. He’s a young lawyer who wants publicity. If he really cared about women having the right to vote he would’ve gone to the womens organization in CH and see how they feel about it. the crown heights community try to follow the rebbes directives. whether we agree or not. that is what we do. no one is forcing anyone to live here. if a woman is desperate to have her voice heard, she is wlcome to go to communities that allow that. not here. yes, i am a woman. Having been in contact with Mr. Federman over the this & other issues (namely, safety in the Schuchana) I think the frustration level that he is feeling must be inordinately high. I happen to agree with him 100% (so does my husband!) & I am impressed with his bravery in willing to go public on this issue. Do I think the NY Times was the way to go? Probably not, but none of us knows what other options he exhausted. My bet is, this was his last hope. You think he should have gone to Der Yid? The NY Post??? A TV station? The CHJCC is as corrupt & insular as it comes. I’m sure they wouldn’t give him any respect or even address the issue. Mr.Federman, I hope someone, somewhere (our good buddy Norman Siegel who was at your safety seminar, as I was) will try to get this matter resolved. Hopefully, the Chillul Hashem all these readers are afraid of won’t come to pass. Meanwhile, how many of you think ripping off community money is not a Chillul Hashem? What about taking Govt $$ & not doing anything for the residents? You think that’s OK? Isn’t the fact that our neighbors can’t pay their tuition or their mortgages & are starving this Pesach (the CHJCC throws them a carrot & a potato) a bigger Chillul Hashem? can crown heights info please have a real rabbi explain exactly what the rebbe said about women voting in community elections? This is not in any way unconstitutional, as Federman claims. There is no state action, which is a prerequisite to challenging something like this on constitutional grounds. Good for you, Eli,that you went to law school, but perhaps you should review your Con Law outline again. This is a Chillus Hashem? Are you kidding me? Members of the crown Heights Community (the CHJCC included) took part in a viscous MESIRA and BLOOD LIBEL against SIX INNOCENT JEWS, good standing residents of our community (fathers, husbands, volunteers etc…), which resulted in a over SIX WEEK TRIAL (which took place only blocks from the streets of Crown Heights). Now that was a Chillul Hashem, anything after that just pales in Comparison and doesn’t even leave a mark. What could be worse then innocent Jewish blood flowing our streets? If your all of a sudden concerned about the above article in the NY POST and about a “Chillul Hashem”, them your a hypocrite and a phony. Where was you great concern when your brothers blood was spilled in a blood libel? Did you ask your mashpia about this before you went public!? Seems like your typical rabble rouser who transplants himself into an era/comunity just to make a commotion and steer up controversy. Do the Federmans even live in Crown Heights? Do they feel they were “discriminated” against? (If they live here, it’s that they just got an apartment several days ago… just to be able to say they lve here? (I believe they live in queens)). What is their motivation? Can it be that he is a law student, maybe he just graduated law school and is looking for a way to launch a legal / advocacy / political career? Does he look at us, the crown heights community as a soft and easy target to propel himself into the epicenter of a “big controversy” which he himself created? If I’m not mistaken, the name of the organization is: Crown Heights Jewish Community Council. With emphasis on the word JEWISH. If federman wants, he is free to start his own Community Council and run it how he wants. A JEWISH community runes according to the guidance and instructions of Rabbonim – NOT law students, the NYT or courts! 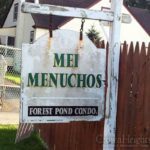 Who designs the communal life of a Jewish community? Who sets the standards as to what is appropriate (“vos past zich”) and what is not appropriate? Are there different facets and parts to a Jewish community and life? Is there the ‘religious’ and ‘spiritual’ aspects of our lives [the shul, kashrus, taharas hamishpocho] which is in the domain of Torah and Rabbonim and a separate part of our life [-the rest of the day] which is governed my lawyers, courts, the ‘norms’ of society? OR, is every aspect of a Jewish life and the conduct of a Jewish community only subject to the Torah and Halacha. If the entirety of a Jew – all aspects of his life – is bound and subject to the laws and guidance of the Torah, then there are no “secular” aspects in a Jewish community. EVERYTHING is Jewish and run the JEWISH way. If so, the ONLY ones who can decide what is appropriate behavior in a Jewish and chassidish community are chassidishe rabbonim!!! Eli, please mix out and don’t shlep our holy community through the “blote” and dirt of the New York Times and the goishe velt.. Please! The ways of our Torah are peaceful. Weather the issue you raise is legit or not, the way you went about it was grossly irresponsible. In this day and age the “Ohavei Yisroel” don’t need another excuse to…, and publicizing this the way you did is counterproductive for our community. Although I do believe that divorced or widowed women should have some sort of say in community affairs, the point that #50 brings up is very real, where does it end?. And the point you bring about the CHJCC being a government funded body, and should therefore not discriminate, this IS a Jewish community where most of us keep to Jewish laws and sentiments, and therefore, it is safe to assume that women agree not to be involved in the voting process, (as seen by most of the comments here by women), rendering your campaign a non starter, especially if this was voted on in the past. Wishing you a Kosher and Happy Pesach, and may you and your family be immune to any Kepeidas that may arise from this. Aside from the issue of airing our dirty laundry, reinforcing stereotypes of all kinds in chassidic communities etc., the issue raised is on target. Why are we women in Crown Hts unable to vote? and what about divorced, widowed and single women (over 30)- why are they allowed no voice? To bad it takes an embarrassing article in the NY Times to get the CHJCC to do the right thing. As an adult woman, I expect a little credit for my ability to make my own choices. Ms. Gootman, the writer of this article,apparently begs to differ. Like most healthy adults I tend to choose my religion, my spouse, my community, and certainly my clothes – without reference to a complete stranger who is so presumtuous as to decide that she knows better than me, in fact, better than G-d, what is best for me. I, therefore, find her patronizing diatribe insulting to myself and to every other woman who doesn’t share her lifestyle. As a religious woman I have often encountered people bigoted and ill-mannered enough to sneer openly at a complete stranger who is wearing- horrors!- a skirt to the knee. As a professional woman I meet many different types of people and I find that it is the most refined and decent of people who actually respect other people’s religions and treat me, a Jewish woman, with all the more respect precisely because of my dress and way of expressing myself. Ms. Gootman, you claim to know what is best for me. I find that I have a most rewarding lifestyle, marriage and direction in life because of my choices. I somehow doubt I will fing such contentment by living my life based on your requirements.. However, I think the most disturbing part of your patronizing and distorted article is that fact that it betrays a profound ignorance of the subject on which you claim to be an expert. A most basic tennet of the Jewish religion is the aspect of free choice. Every single adult, male and female, is given credit for their ability to make choices and accept responsibility for their own decisions, ask questions and deal with conflict. In fact, you can wear pants, join a synagogue that has a women’s quorum, leave the religion altogether without receiving any form of corporal punishment, fines, or penalties- which is not the case in Islamic and other societies. Something tells me that you are Jewish, Ms Gootman, and have a lot of unresolved issues. Knowledge is power; I suggest you contact any of the many Torah based organizations, such as your local Chabad House and become a little better informed about your own heritage. Eli is a man who always searching for fairness and justice, doing it all with passion. Though I disagree with the approach, I’m almost confident that it was NOT done out of evil act and not for his fame either. I know Mr Eli Federman and I knew his father BO”M who was also a man of justice, humble and good man. In addition, Eli has helped in the past, and helping this days, many young boys in C”H to stay away from drugs. Bailed some C”H residence out of jail, spend long hours through the night advising victims fighting for their right helping with court papers, referring them to other attorneys or professionals and much more… ALL FOR FREE. He is not looking for recognition and not too many people know about it. Lubavitch parents from other state have called him in the past for emergency advice for their sons that are residing in C”H. Once I asked Mr. Federman: why do you do all this work for free? He replied: “Someone needs to help this people who can’t afford an attorney. Or, I feel bad for all those parents that are begging me for the sake of their children…and even more so, what is being done to them is totally un justify.” Based on the above said, I believe that Mr. Federman didn’t do it out of evil and not for fame either. Article in the paper, not ok, Check. CH residents stupid, Check Check Check!!! Millions are being stolen daily from the community, Messira is taking place all around, this discussion is irrelevant and stupid. I would just suggest to Mr.Federman to refocus on the money issue. Let’s discuss the corruption and fraud taking place at the Crown Heights Jewish Community Council inc.
Let’s discuss corruption and fraud which is the CHJCC Beth Din, let’s discuss how they have been getting paid all these years by the CHJCC (with Grant money). Let’s discuss how the CHJCC used their “Rabbis” to assassinate good people. Let’s discuss issues that matter, issues of innocent Jewish blood being spilled by greedy, power hungry individuals (who by the way created the CHJCC and it’s Beth Din). The spelling of these brilliant comments by the brilliant minds of ch are amazing. #11 tembel? and chaim moshe-communty?seriously people? Please don’t write a comment if you cant spell. You are trying to sound smart but it looks dumb. Maybe go back to school and do something with yourselves like Mr. Federman has. It’s not about giving women the right to vote–it’s about the contribution we will have on a decision making process that reflects the wisdom and insight we are naturally inclined to posess. Women seem to care about the higher good vs. men caring about political correctness. It would be a good thing for women to be able to have a say in our leadership, by means of their individual vote counting towards significant elections that effect them & their familiy. Right now it’s not about the issues, it’s about the good ol’ boy’s network! 72 Dave: I am an Ivy League graduate and I happen to speak quite a number of languages besides my native English. If you had any familiarity with colloquial Hebrew, you would know why I chose that spelling for a deformed house of worship. Needless to say I cannot dignify such a place of shmad by referring to it with the English word used to translate beis ha-mikdash. (However, in comment #11 I did spell “deformed” with an “r” instead of a “d” so that it was worth it for me to review my original comment). what about the 20th amenedment?? womens right to vote??? I would assume that you are very emotional about the whole thing, maybe even very close to the “plate” of the chjcc. I understand your frustration, though I completely disagree with your thought of venue, the same way I disagree with Mr. Federman’s venue. I’m not a Mashpia or anything, but I suggest both of you, each in his way, to add in learning of Halachos and Chassidus, you’ll both benefit and realize how to deal with important issues in life. Though I don’t know you, I have no doubts that with in you (when not emotional) you are a nice and good person who want good. The same is with Mr. Federman, it looks like he is a good person who wants good. Have a happy, Kosher and Frailichen Pesach. A Kosher and Frailichen Pesach to Mr. Federman as well. Yes, like the Geula Girls, who are always good and high! How about…. How about getting this out in the open within Chabad? Is that a problem? If every Jew is precious, that must mean every woman and man is such. So, doesn’t every woman and man have the right to speak on how they feel ? Are some people afraid of honest expression? Is honest expression a sin? Where is some spiritual guidance for this? Yes, I said SPIRITUAL guidance. To the women who keep insisting they’re happy, please consider this- part of the mechanics of oppressing people is to pervert them to the extent that they become the instruments of their own oppression. It is not just tznuis but laudable for women to vote in outside elections. So the male leaders of the community’s power in city, state, and national politics is ensured in great part through women’s votes, but these same leaders maintain their positions through community elections that disenfranchise most of the community. I have a very hard time believing this actually has anything to do with religion.